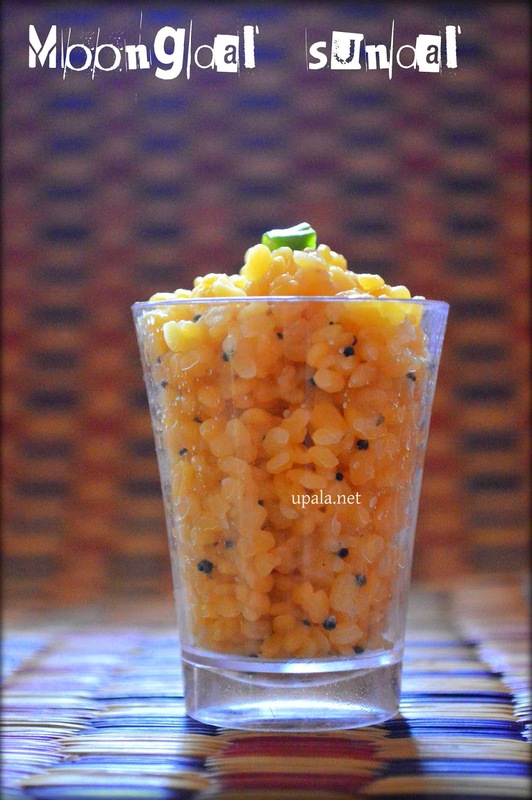 Moong dal/Paasi paruppu/Payatham paruppu/Siru paruppu Sundal is one of the easy sundal which grabs its special place during Navarathri celebrations. Out of all dals, moong dal is considered as the healthiest. 1) Soak moong dal for 1 hour. 2) Heat oil in a kadai and temper mustard seeds. 3) Add Asafoetida, Curry leaves and green chillies to fry for few secs. 4) Add the soaked moong dal and fry. Sprinkle some water (around 1-2 tbsp) and mix it. 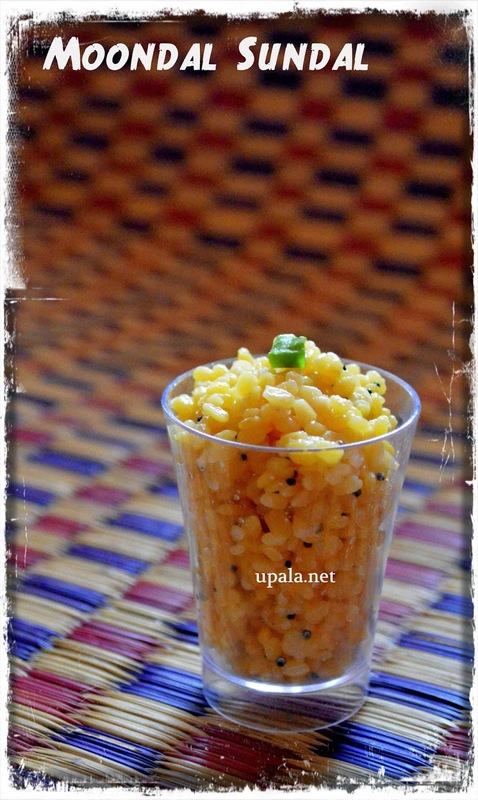 5) The moong dal will get cooked in 2-3 mins. 6) Add salt and mix well. 7) Switch off the flame and add Lemon juice. Mix well to serve. 1) Another method to cook this moog dal is --without soaking add this dal to boiling water with a pinch of turmeric powder and salt to cook for around 10 mins. Be very careful as this dal will turn mushy soon. Once it becomes soft, drain the water and add to seasoning mixture. 1) Adding 3 tbsp of grated coconut at the final step gives nice flavour to this sundal. 2) If you don't prefer green chillies, try adding 2 red chillies while seasoning. 3) Finally adding 2 tbsp of finely chopped coriander leaves gives nice aroma.